The Dublin Airport Authority has said it does not expect tomorrow's flight schedule at the airport to suffer any knock-on effect from today's bomb scare which caused severe disruption. Gardaí said they are 'absolutely satisfied' there was no sinister motive behind the discovery of a bag which led to this morning's security alert. They say the bag was inadvertently left behind by a passenger departing on a flight from the airport. They say they have traced the owner and are satisfied that there was no subversive involvement. Earlier, an army bomb disposal team carried out a controlled explosion on the bag which had been left in the arrivals hall. The security alert resulted in flight delays and traffic congestion in the vicinity of the airport. 60 flights and around 12,000 passengers were affected. 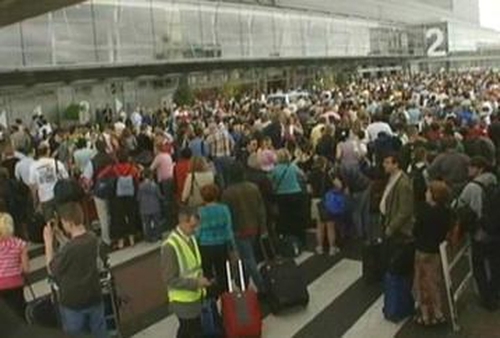 The terminal was evacuated at around 8am and all outgoing flights were grounded. 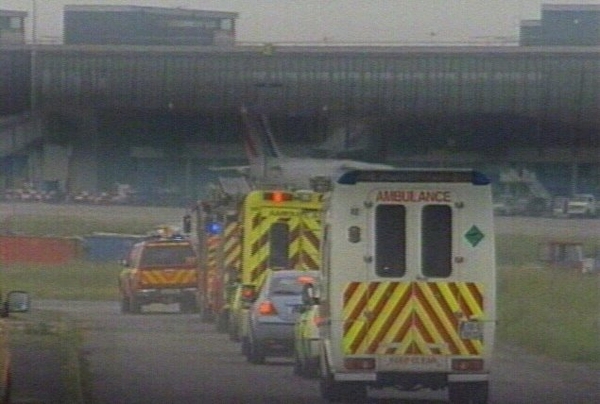 It reopened to passengers and airport staff two hours later. It was established that the bag contained a copy of the Koran and medicines. The evacuation is the second security alert at the airport this week and follows an evacuation of the main terminal on Tuesday.